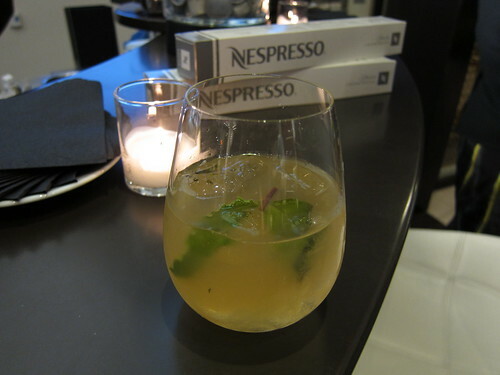 The event was pretty good; we got to have espresso inspired drinks and food. Ted Allen (from Queer Eye and Chopped) was there, as was Pixie Lott, a singer from the UK. Her voice was beyond fantastic when she sang a cappella for us, plus she seemed pretty nice and down to earth which is refreshing. It wasn't until nearly the end of the party that I figured out I was receiving the machine. Since I love blue and purples, I chose Indigo. I don't want to take the machine out of its box, so we'll just have to trust what's in there. To win: you'll need to email us at BlondieandBrownie at gmail dot com by Friday morning, 9am. I'll be picking a winner at random sometime before noon. Friends, family, former coworkers and flings are encouraged to enter. Also, I'd like to take a minute to make everyone aware that we've joined 2009 and started a Facebook page! This took a while for various reasons, but it would make us SUPER HAPPY if you "liked" us, even though Facebook is becoming a thing of the past. What a cool giveaway. I've definitely entered and liked on Facebook. And I have to say exciting to read one of the blogs of someone mentioned by The Feisty Foodie. I'm adding to my Google Reader now. 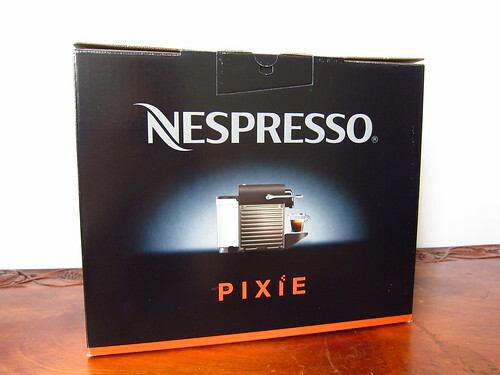 Awesome giveaway and I love Pixie Lott. She's beautiful.